Is the NFL The Most Powerful Sports Brand in the United States? For NFL Fans, the month of July signals the beginning of a new season. Football is back even though it’s nearly always on fans minds. As usual, their will be a number of great stories and surprises. Most training camps start within a week. The start of the regular season is not far away. Last Monday, Forbes announced its 2013 list of the world’s 50 Most Valuable Sports Teams. Thirty NFL teams made the list of the top 50. The Dallas Cowboys (5), New England Patriots (6), Washington Redskins (8) and the New York Football Giants (9) made the top ten list. Only two NFL teams the St Louis Rams (51) Jacksonville Jaguars (52) failed to make the top 50. This speaks to the power of the NFL Brand and the strength of individual team brands. The NFL is clearly the most valuable sports league in the United States. The NFL’s success is the result of strong brand management and ongoing communication with their fan base. The NFL has made a six-month season into a 12-month business and branding effort. The draft is a key part of the strategy as it bridges the gap between one season and next. It generates a huge amount of media and fan talk value. The draft has also become a huge revenue generator. Once the draft is over media attention shifts to signing the players, filling out the rosters and mini-camps. Football talk is always in season. The NFL Brand has its challenges. Player concussions are a serious issue. The Aaron Hernandez case and other player arrests have created negative publicity for the brand. However, the brand is skilled at overcoming short terms challenges and continues to thrive and grow in value. There are many reasons for the success of the NFL Brand. I can’t possibly highlight all of them in one post. Listed below are some the reasons why the NFL has built a strong relationship with their existing fans and expanded to attract new fans. Football is extremely advertising friendly. The game has natural stops and starts, a 60 minute game lasts three hours, leaving plenty of space for television advertising. The league has created a major event with “Super Bowl Sunday” that attracts the largest television audience of the year. The product is limited, there are only 16 regular season games. Your favorite team plays only once a week. Whether your teams wins or loses, most fans can’t wait till next Sunday. The NFL owns Thanksgiving one of our country’s most important holidays. Football is an exciting experience. From watching the games with friends and family, to the NFL’s website, NFL Mobile and the Madden NFL Games, the brand creates an interactive experience. The NFL creates memories that span generations. NFL Films allows fans to re-live past games. Giants fans love to re-live our Four Super Bowl Championships. We never tire of watching David Tyree’s catch in Super Bowl 42. Fan’s love the game, not just their team. Fantasy Football and fast paced highlight shows have helped make the games fun to watch even if your team is struggling. In recent years, the league has seen women grow to become over 44 percent of its fan base, with 60 percent of females over the age of 12 identifying themselves as NFL fans. I have witnessed the NFL pass Major League Baseball as the most popular sport in the country. In many ways, it has displaced baseball as the sport American’s love. The NFL has a brand that means something deep to many football fans, whether they realize it or not. Are you excited for football season to start? Who is your favorite team? One response to Is the NFL The Most Powerful Sports Brand in the United States? How did your interview go? Sent from my BlackBerry 10 smartphone on the Verizon Wireless 4G LTE network. 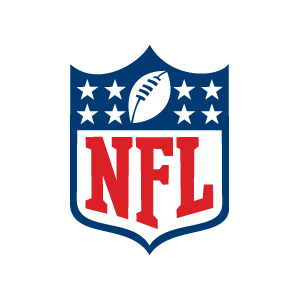 From: MDH Mark D HoganSent: Saturday, July 20, 2013 2:20 PMTo: bryanpazaras@aol.comReply To: MDH Mark D HoganSubject: [New post] Is the NFL The Most Powerful Sports Brand in the United States?